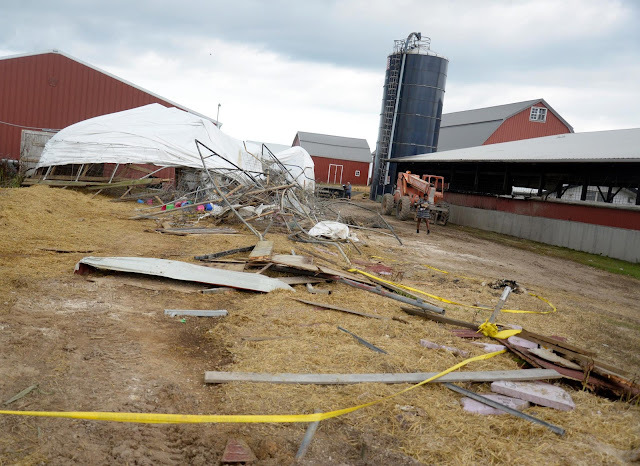 On July 20, 2018, about 1604 central daylight time, a De Havilland DH112 Venom airplane, N747J, impacted a structure shortly after takeoff near Sheboygan, Wisconsin. 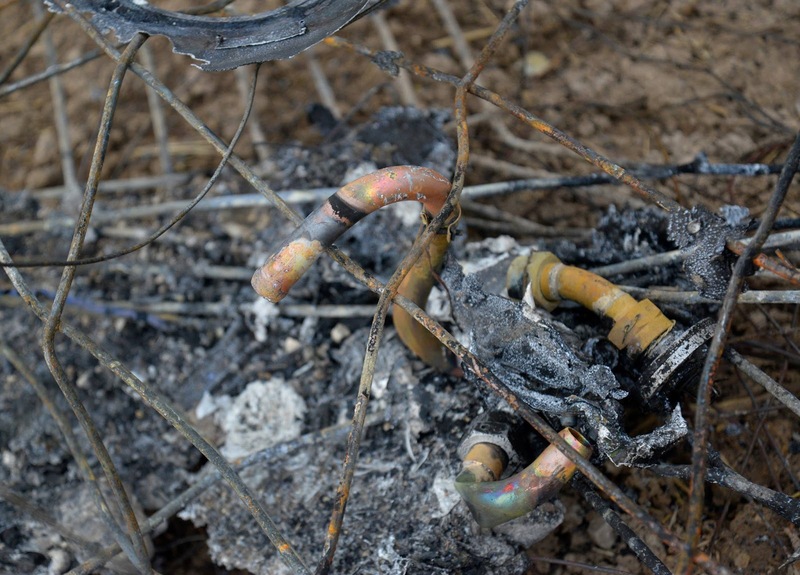 The pilot was fatally injured. 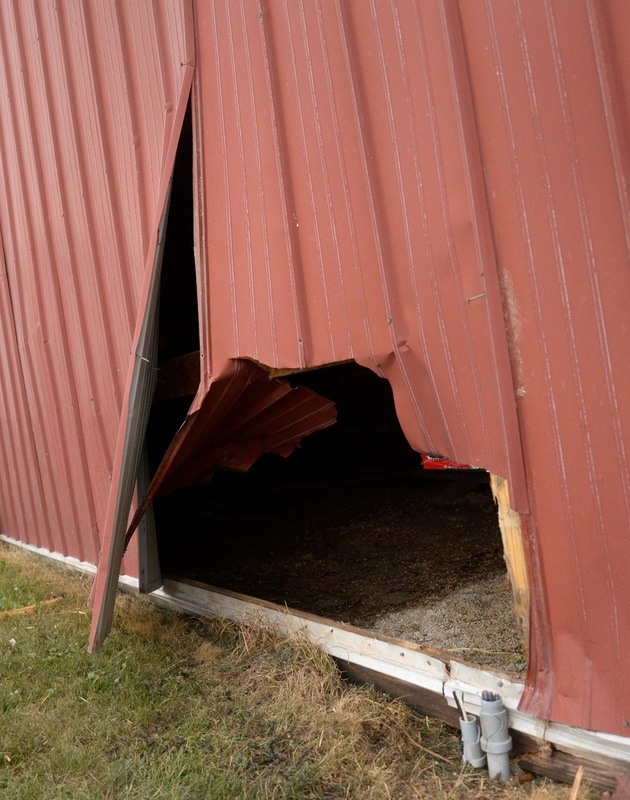 Two people in the structure sustained serious injuries. The airplane was destroyed during a post impact fire. The airplane was registered to World Heritage Air Museum and operated by the pilot as a Title 14 Code of Federal Regulations Part 91 personal formation training flight. Visual meteorological conditions prevailed about the time of the accident, and no flight plan was filed. The flight was originating at the time. The airplane departed SBM as part of a formation training flight; the accident airplane was in the number two position and staggered to the right of the lead airplane. Review of video provided by a witness showed the lead airplane depart, followed by the accident airplane about 8 seconds later. About 6 seconds after the accident airplane lifted off, the left wing rocked downward then upward. Multiple witnesses reported that the airplane appeared to be sluggish and not climbing. The airplane climbed to about 200 ft above ground level (agl), then started a descent. The airplane impacted flat vegetated terrain, slid through the structure and continued another about 175 ft before coming to a stop. The airplane came to rest on a magnetic heading of 140°; the debris path was 200 ft by 40 ft. The entire airplane was located at the accident site. 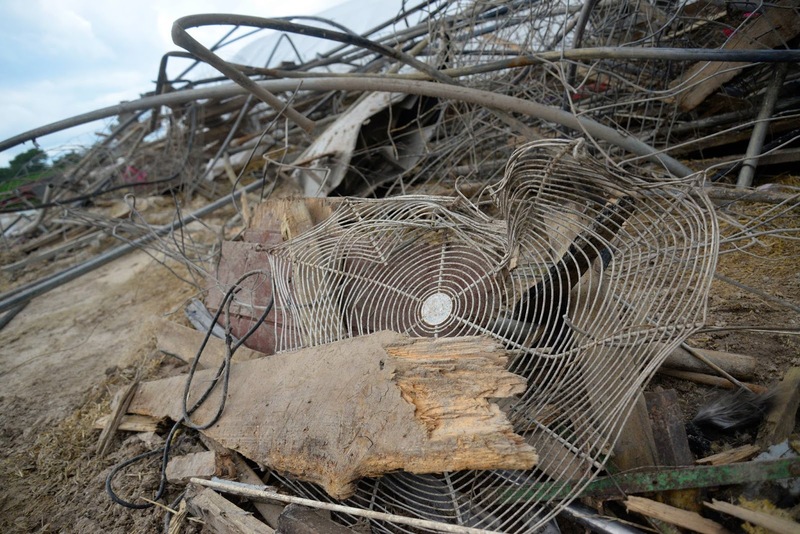 The wreckage was transported to a secure facility for further examination. 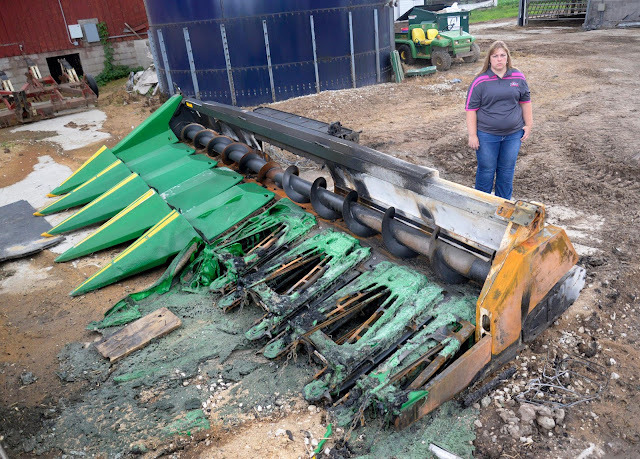 Rachel Kroeplien standing near a combine head that was partially melted by burning aviation fuel. 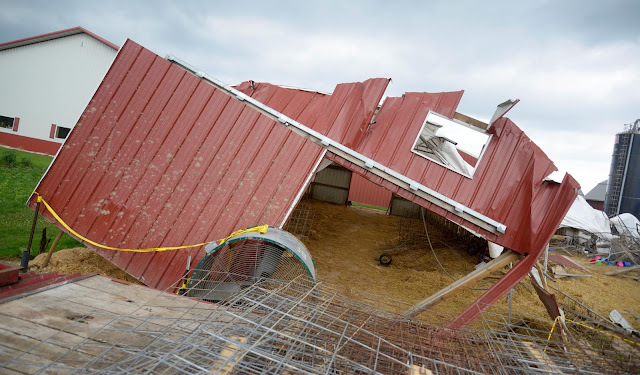 Sadly, the pilot was killed, two employees were injured, numerous calves died or were injured, one calf barn was destroyed and three other buildings were damaged. The Kroeplien family is working to determine the best course of action moving forward. 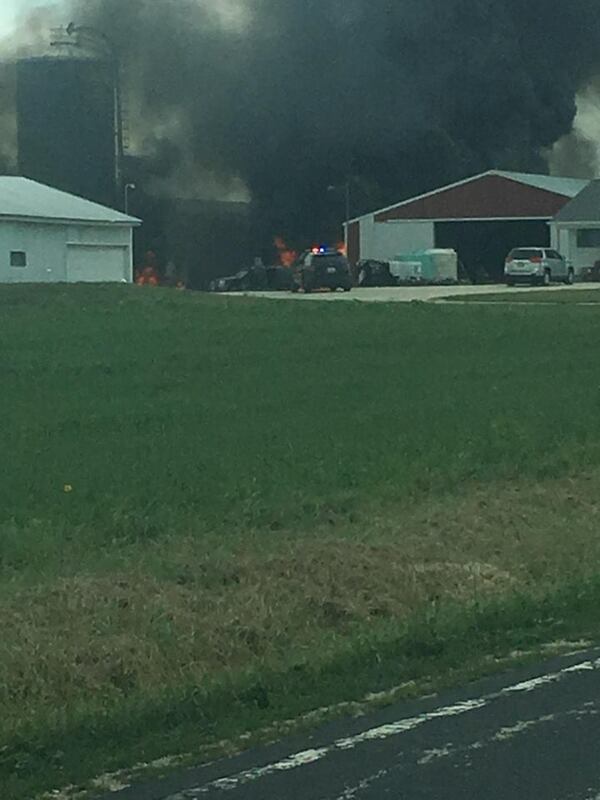 SHEBOYGAN COUNTY -- The Sheboygan County Sheriff’s Office says the pilot killed in a plane crash in Sheboygan Falls is 50-year-old Martin Tibbitts of Grosse Pointe, Michigan. 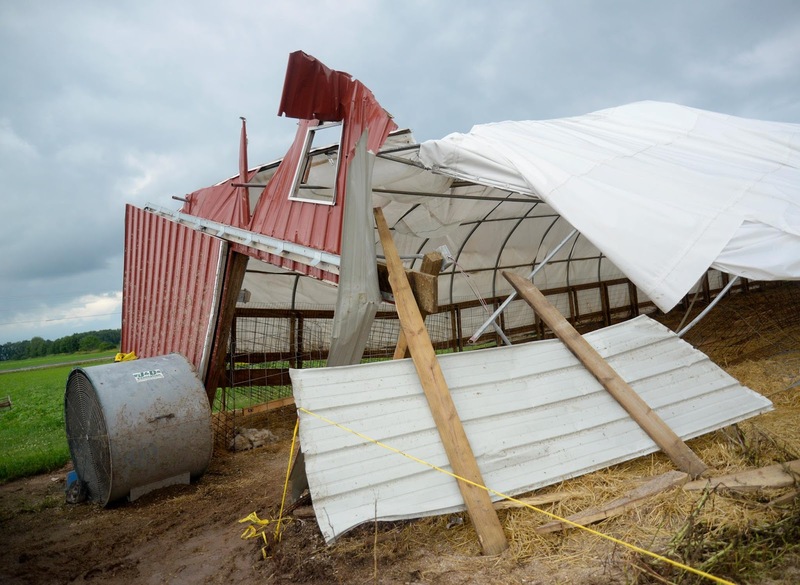 Tibbitts had just taken off from the Sheboygan County Memorial Airport when he went down and hit a farm building on Friday, July 20. The National Transportation Safety Board (NTSB) is leading the investigation into the crash with help from the FAA. Officials were on scene Saturday, July 21 and will continue to be there through the weekend, and possibly early next week. Just hours into the Aviation Heritage Center of Wisconsin's 11th annual Air Clinic, Pilot Martin "Marty" Tibbitts encountered trouble in the air soon after takeoff. 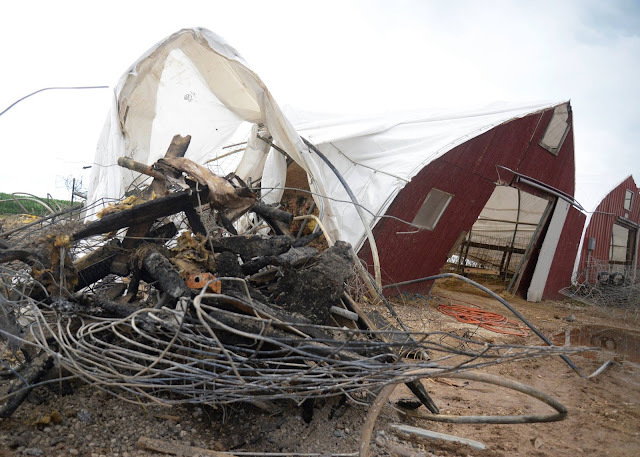 His vintage, single-engine, military-style plane went down just a half-mile from the airport. Tibbitts was killed on impact. The crash has left fellow Warbird flyers devastated and puzzled. "These planes, every year, have to be inspected," said Paul Walter, former president of the Aviation Heritage Center of Wisconsin. The crash happened at Fly By Acres Farm, injuring two people -- one seriously -- and killing several animals. 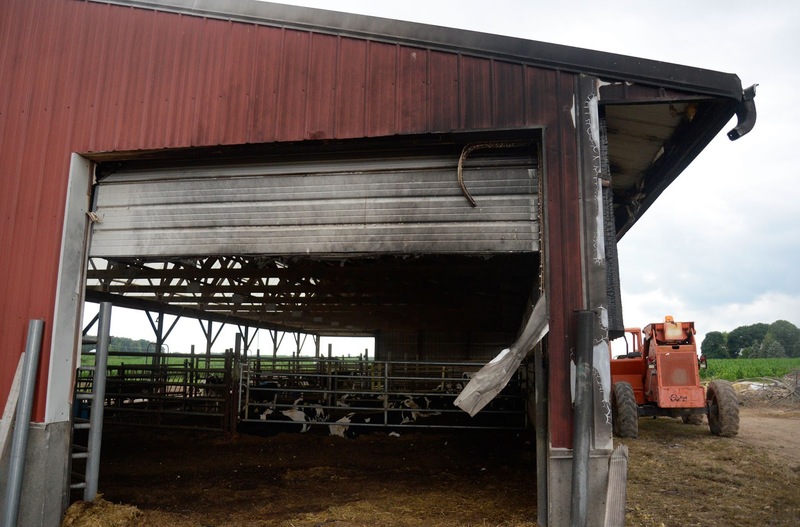 "There were workers in there feeding cattle or calves in the building where the plane came through and were hit by the airplane," said Sheboygan Falls Fire Chief Bob Kroeplien. Several nearby buildings caught fire, producing a black cloud of smoke visible for miles away. First responders from all around the area battled the flames. Chief Bob Kroeplien, with the Sheboygan Falls Fire Department, the loss is personal. "It's the farm I grew up on," Kroeplien said. 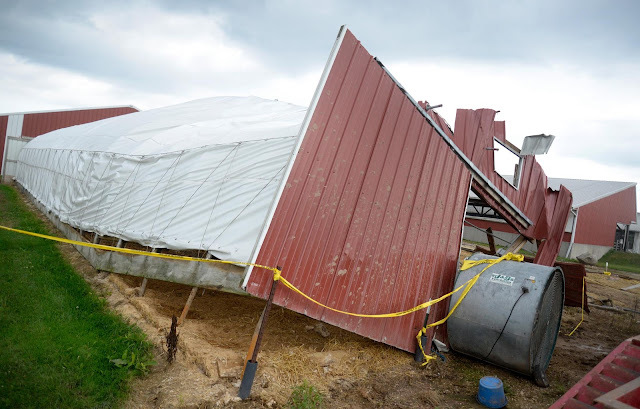 "The farm happened to be my brother's farm." 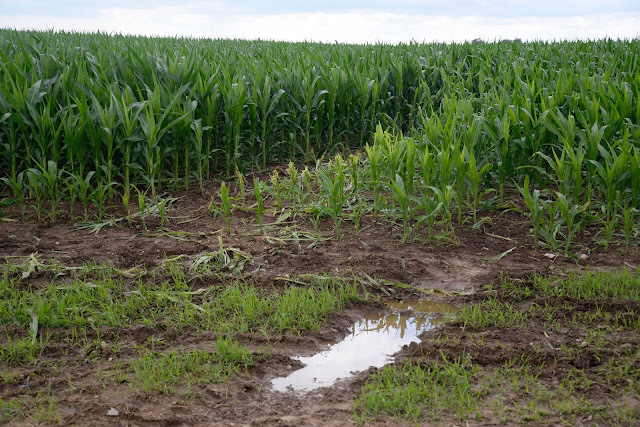 Officials with the NTSB will look at the pilot’s training and flight track, the aircraft and weather to determine what happened and ensure it doesn't ever happen again. "We don't know what caused this accident," said Air Safety Investigator Jack Vanover, with the NTSB. An event these pilots look forward to all year long is now marked by tragedy; one of their own killed pursuing their shared passion. "They're your family members and of course whenever you lose a family member, it's a sombering[sp] event," said Walter. 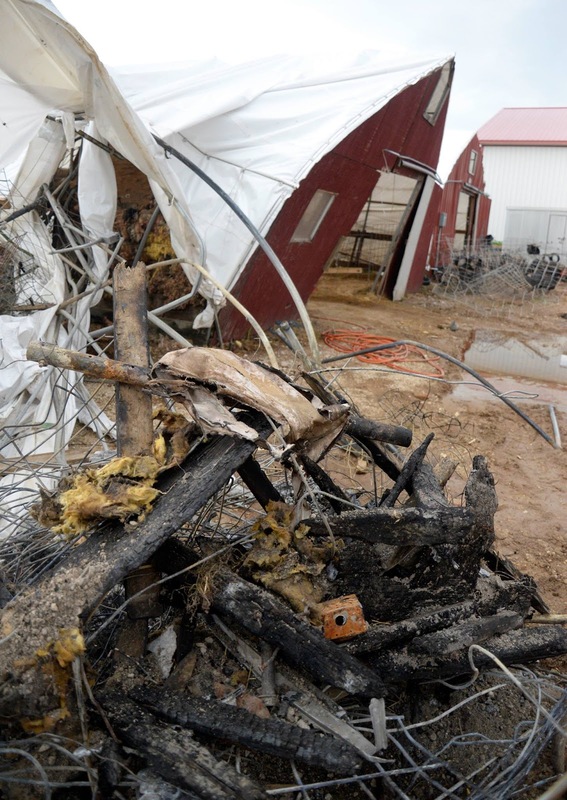 The NTSB says a preliminary report will be released within the next week. It could take more than a year to determine probable cause of the crash. As for the people injured, the male victim remains in serious condition while the female victim's condition has improved. 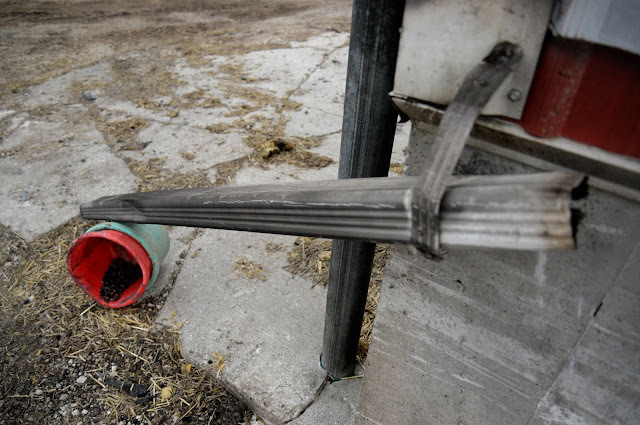 Initial reports also indicated all 40-some calves in the barn died. The fire chief says that's not the case -- several calves survived and are being cared for at another facility. 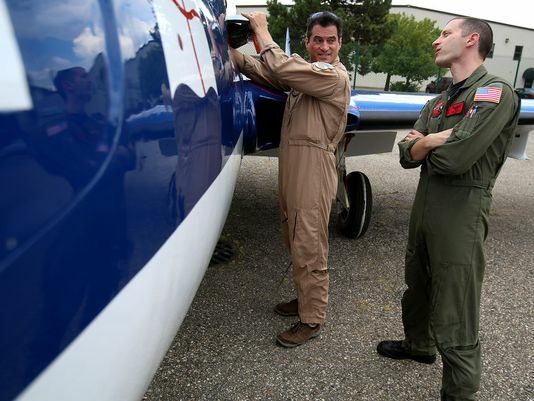 Marty Tibbitts of Grosse Pointe is shown with Greg Morris of Chicago in an August 19, 2015, photo at the World Heritage Air Museum at the Oakland County International Airport in Waterford. Tibbitts a pilot and co-founder of the museum, died Friday when a de Havilland DH.112 Venom FB54 aircraft he was piloting crashed shortly after take-off in Sheboygan, Wisconsin. Jack Vanover, an air safety investigator with the National Transportation Safety Board, speaks at a press conference at the Aviation Heritage Center in Sheboygan Falls on July 21st. Martin J. Tibbitts was an entrepreneur but his passion was flying vintage military aircraft. “I fell in love with Cold War jet aviation,” Tibbitts, who went by Marty, told the Free Press in 2015. Tibbitts was at the controls of one such plane, a de Havilland DH112 Venom, on Friday when it crashed shortly after takeoff from Sheboygan County Memorial Airport in Wisconsin. 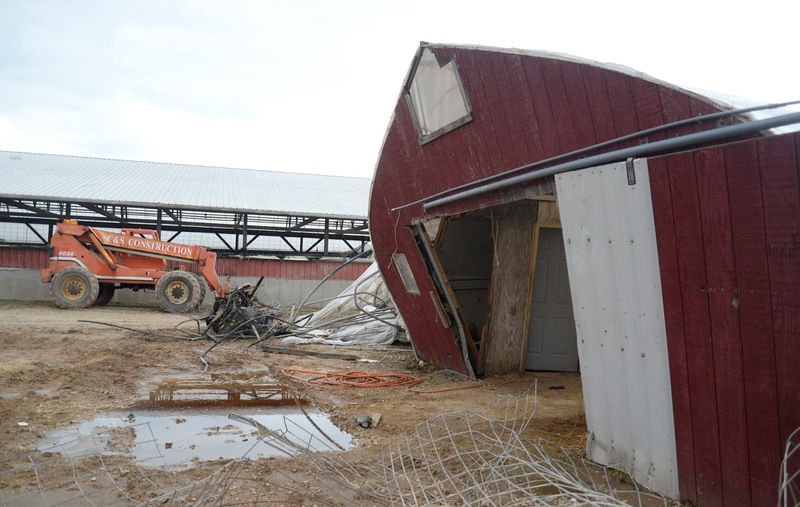 Tibbitts was killed when the plane struck a barn. 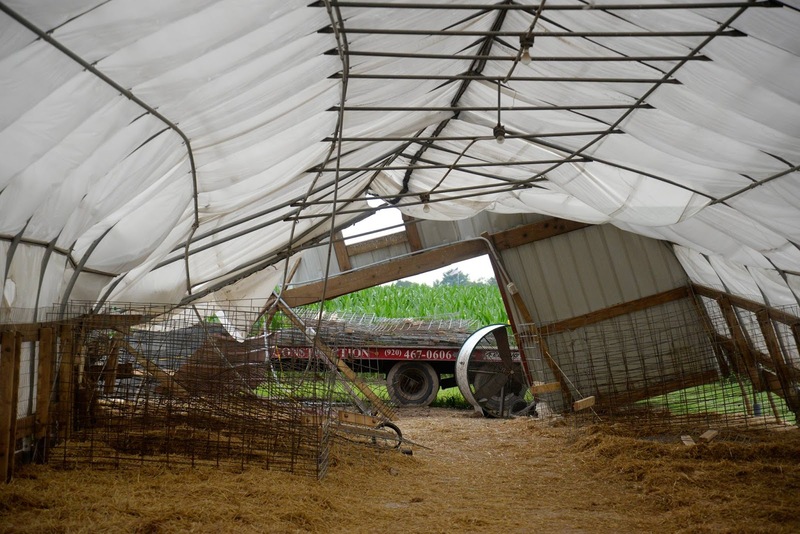 Two farm workers also were injured. One of them was airlifted to a hospital. 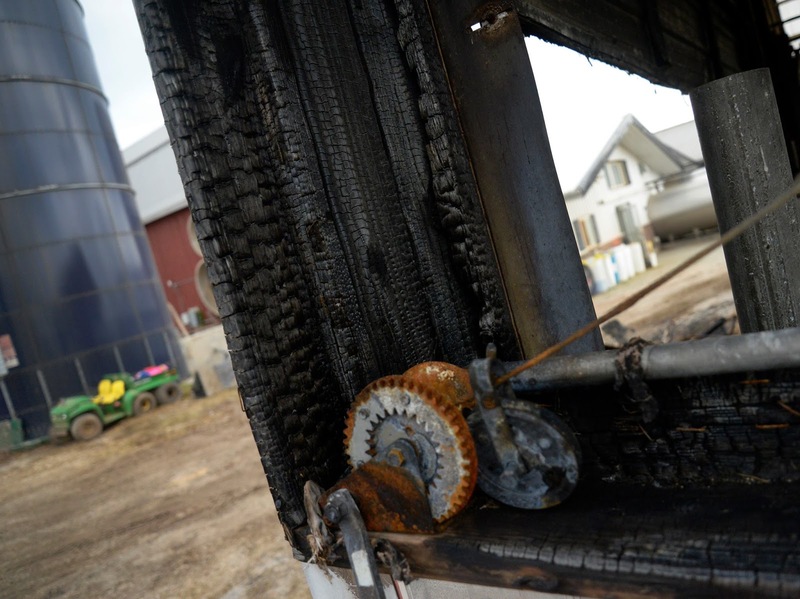 Between 40 and 50 cattle died in the ensuing fire, investigators said. 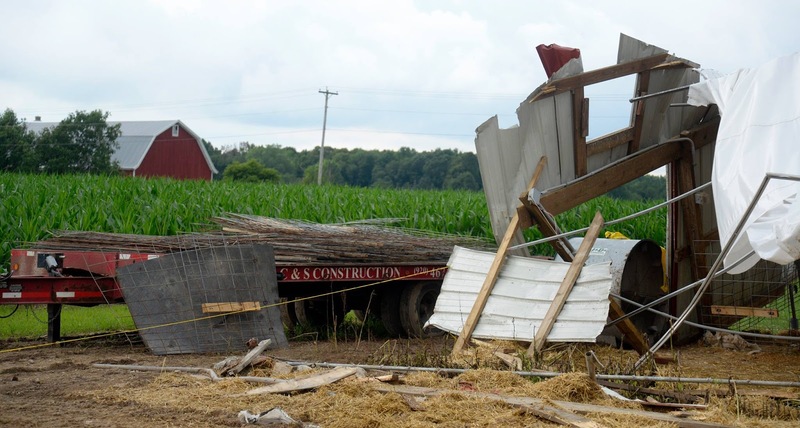 The cause of the crash remains unclear. The National Transportation Safety Board is investigating, but it sometimes takes weeks or months to reach a conclusion. 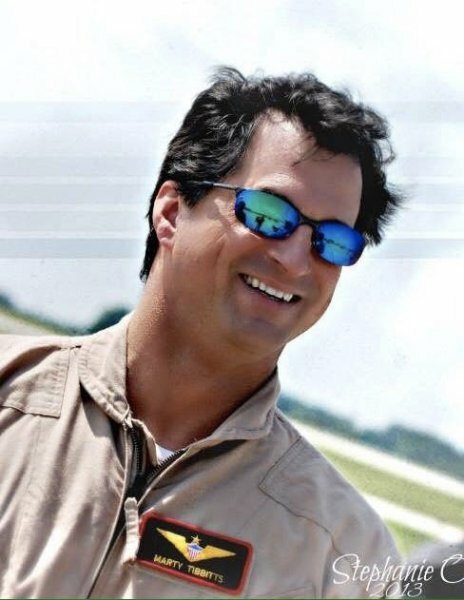 Tibbitts, 50, of Grosse Pointe Park, was a co-founder of the World Heritage Air Museum, which owns eight vintage planes, including the one he was flying Friday. "Marty was a joy," said Joe Walker, a long-time friend and business associate. "He was one of those visionaries in business, always had great vision, great ideas." Tibbitts' day job was CEO of Clementine Lives Answering Service in Harper Woods and he also was active in the Young Presidents Organization, a professional group for executives. Walker said Tibbitts had flown the plane to Wisconsin to take part in the EAA Airventure Oshkosh, an annual event billed as the "world's largest gathering of aviation enthusiasts." Tibbitts had attended the event for years. The Sheboygan airport was hosting a vintage aircraft formation flying clinic ahead of the larger Oshkosh event, which begins Monday. "He texted me on Wednesday to say that he'd just landed in Sheboygan," Walker said. Tibbitts was taking the plane up Friday to fly in formation with two other military planes. He was first to take off with the other two right behind him. The plane crashed just seconds after takeoff. The plane was one of only a handful of de Havilland DH112 Venoms in the world that was still flying, according to the museum website. Tibbitts co-founded the museum telling the Free Press in 2015 that prices of used military jets have fallen as much as 90 percent in the last decade, in part because new regulations made it harder to get the special pilots’ licenses required. But that made the hobby far more affordable, Tibbitts said. He had recently bought a plane for $75,000 “that had cost about 10 times that” a decade ago, he said. Still, flying a vintage fighter is far more demanding, physically and mentally, than piloting a propeller-driven plane, Tibbitts said. “When you’re going as fast as we do, you don’t have much time to correct a mistake,” he said at the time. Tibbitts is survived by his wife, Belinda; children Mason and Julia; and stepdaughter, Cameron. Funeral arrangements are pending, Walker said. 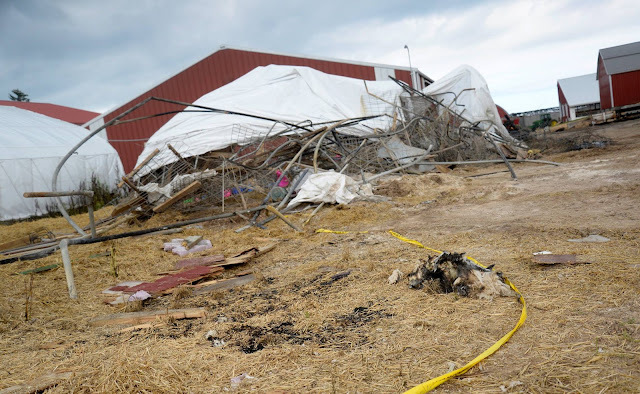 SHEBOYGAN – Town of Sheboygan Falls Fire Chief Bob Kroeplien said Friday’s plane crash into a Sheboygan County farm struck particularly close to home—it happened to be the farm he grew up on. The pilot, 50-year-old Martin J. Tibbitts, from Grosse Pointe, Michigan, was flying a DE Havlon DH112 Venom that crashed into a farm building shortly after taking off from the Sheboygan County airport. The plane burst into flames after the crash, killing Tibbitts and injuring two farm workers, as well as killing or injuring about 40-50 cattle. The farm is owned by the chief’s brother. 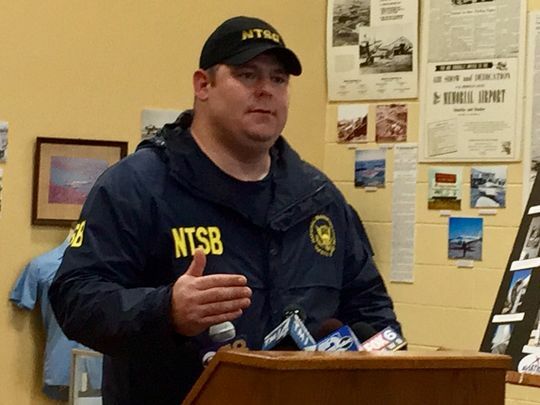 “Talking to my brother and sister-in-law, they want to send condolences to the pilot and his family and ask for prayers for the workers who were injured yesterday,” Kroeplien said at a press conference on Saturday at the Aviation Heritage Center in Sheboygan Falls. 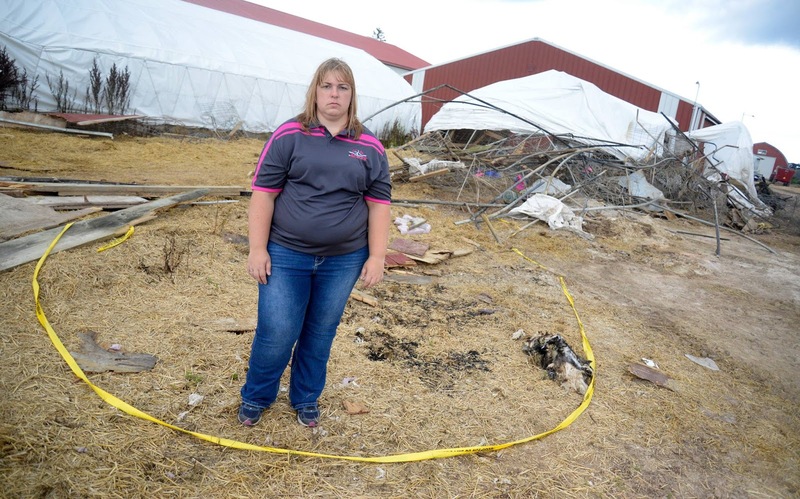 Kroeplien said the farm workers were struck by the plane and debris while feeding cattle in a farm building. He couldn’t speak in depth on the extent of the workers’ injuries, but described them as severe. He said the female worker is said to be “doing pretty decent,” but he did not have an update on the male worker. The workers have not been identified by officials pending notification of families and are not related to the Kroepliens. Jack Vanover, an air safety investigator with The National Traffic Safety Board, is investigating the crash. “Why are we here? 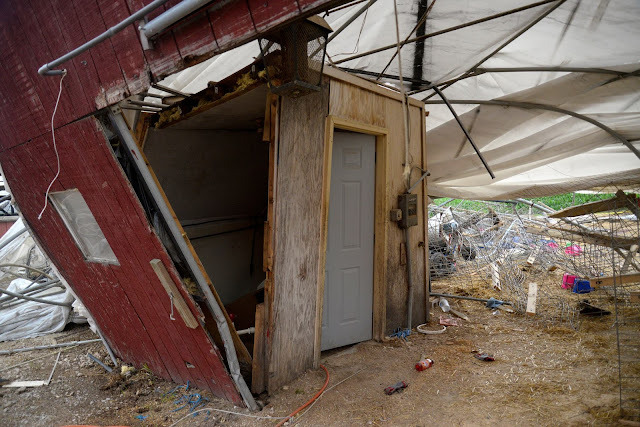 We are here to gather the facts so we can attempt to determine probable cause so we can try to prevent this from happening ever again,” Vanover said at a press conference on Saturday. Vanover said the investigation will look at multiple factors, including the pilot, the plane and the environment. 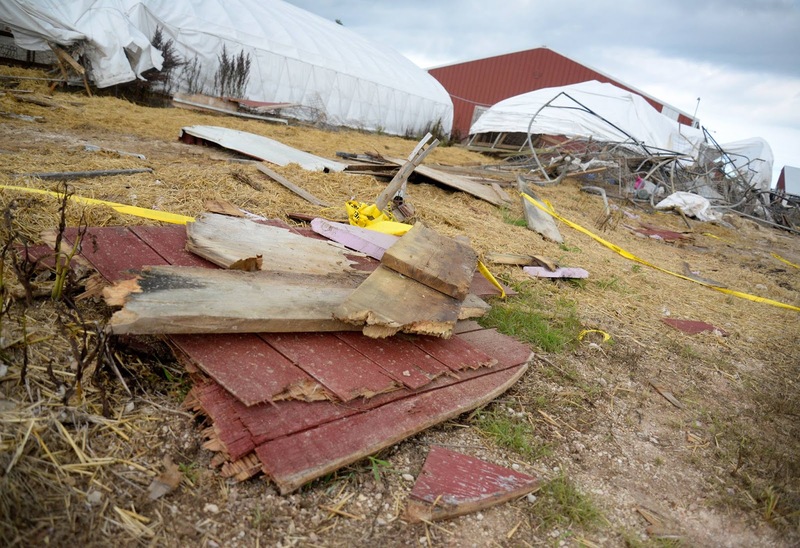 Officials said the community can help by limiting their use of County Highway O as the investigation continues. 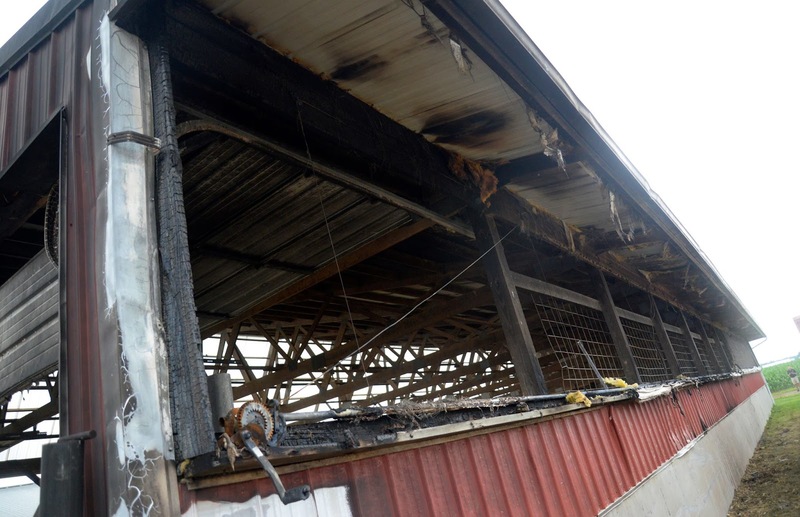 Paul Walter, vice president of the board for the Aviation Heritage Center, said the support from the community since the incident has been a light in a difficult time. The center is currently hosting a formation clinic ahead of EAA AirVenture. Walter said this is the first of any kind of incident to happen over the 11 years they’ve had the clinic and that it has a great safety record. While the clinic will continue on Sunday and part of Monday, the center made the decision to “stand down” on Saturday. “We decided to stand down and think about what we are doing, why we are here and put safety first,” Walter said. Terrible, terrible accident. I'm sure that when you lose an engine in an airplane of this type on takeoff,it falls like a rock and even with an ejection seat not sure if it would be survivable at such a low altitude. That absolute worst time to lose an engine. I'm sure the pilot did all he could to steer clear of the farm but was unable. God give comfort to the pilot's family, the injured workers and all those calves that were injured or killed. Sad story. I met Marty at a land auction and ended up buying some land from him. I just found out about this and wanted to say he was a great guy. Very sad to hear of his death.